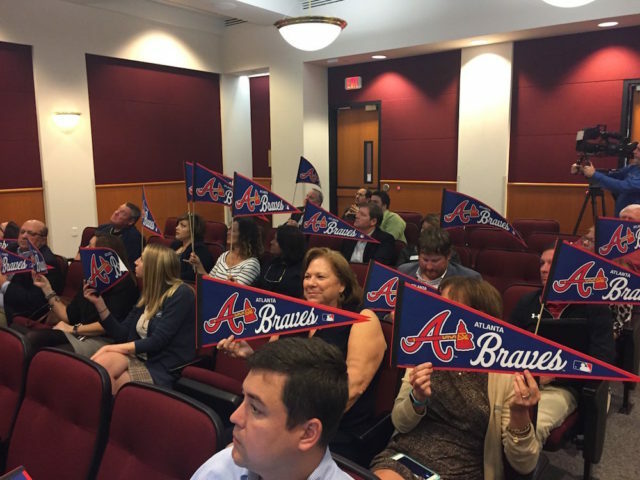 After hearing an update on the proposal for the Atlanta Braves to conduct Spring Training at a new West Villages site in South County, Sarasota County commissioners this week applauded the team’s plans for a year-round academy as part of the $75-million to $85-million complex. Braves Vice Chair John Schuerholz talked of the potential for the academy to enable Major League Baseball players to undergo rehabilitation for injuries and Minor League Baseball players to work on improving their skills. “It will operate … every day of the year,” he noted of the academy. 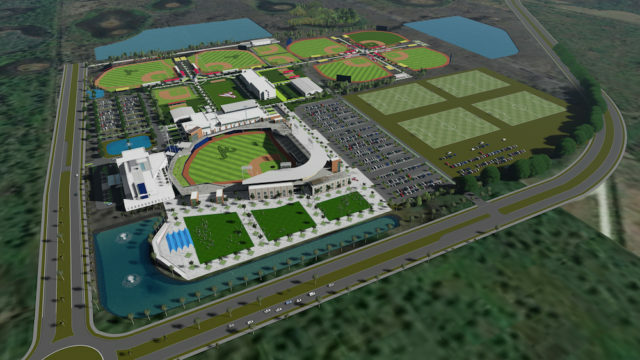 As for the other facets of the Braves’ proposed new Spring Training home, he added, “We can’t wait until this complex comes out of the ground.” The plan is to make the facilities in the West Villages community the team’s home for the next 30 years, Schuerholz said, beginning in 2019. 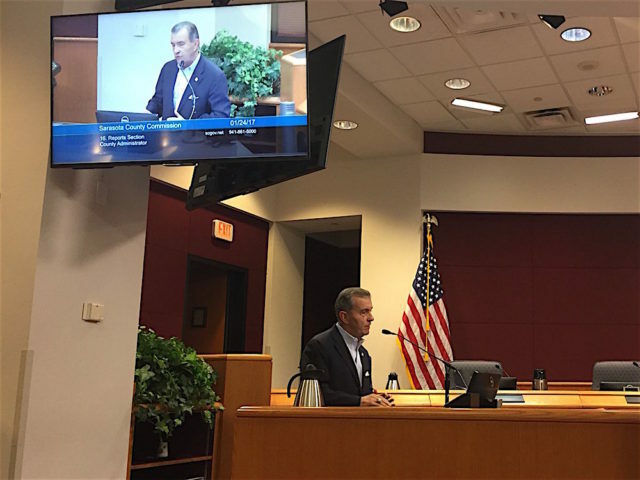 During the board’s regular meeting on Jan. 24 in Sarasota, County Administrator Tom Harmer provided an update on the financing for the facility and the proposed facets of it. 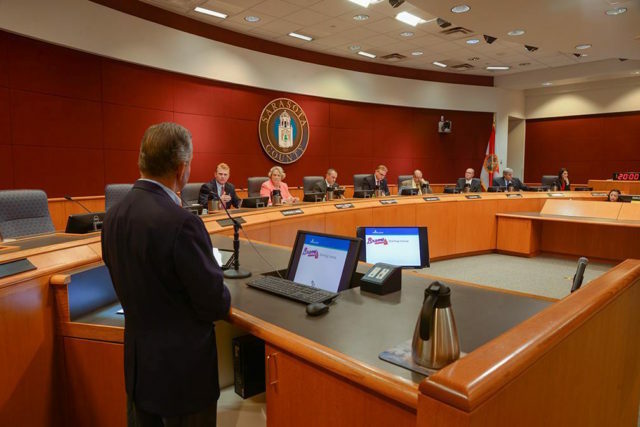 Many of the details were unveiled in March 2016, Harmer pointed out, when the commission originally voted to allow staff to negotiate with the team to try to bring it to Sarasota County. Plans call for Mattamy Homes, developer of the West Villages near North Port, to contribute the land, infrastructure and financing of the project through a bond referendum. West Villages then would oversee the design and construction of the project. 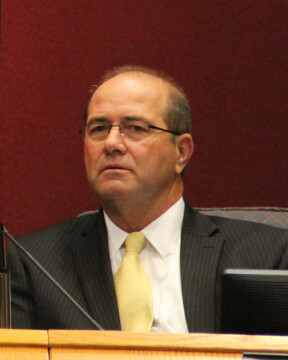 The County Commission has offered $22.1 million out of its Tourist Development Tax (TDT) revenue — the proceeds from the county’s “hotel bed tax,” as Harmer put it — to “offset construction costs.” Based upon an initial staff review of TDT revenue, Harmer added, “we believe there’s capacity in there” for providing that money to the project. Additionally, he explained, the plan calls for the State of Florida to contribute $20 million from its Spring Training Retention Fund — $1 million per year over 20 years — to help cover the expenses. Ownership of the stadium complex would be transferred to the county upon its completion, Harmer added. The county and the team also would sign an agreement through which the Braves and the county would contribute a certain amount of money into a fund each year to cover facilities maintenance. It would be similar to the one the county has with the Baltimore Orioles, who train in Sarasota. Commissioner Nancy Detert — a former member of the Florida House and Senate — asked whether the team would have any funding left over from its deal at Disney’s Wide World of Sports complex in Kissimmee, which it could bring with it to Sarasota County. During his presentation, Harmer explained that the proposal calls for a stadium with 6,500 fixed seats; capacity for another 2,500 people in the concourse and berm areas; a 360-degree concourse; luxury suites; six full practice fields and two half -size fields for practice; about 750 paved parking spaces; and batting cages and pitching mounds. The site is “generally adjacent to the existing campus” of the State College of Florida in the West Villages, Harmer said. The property also is close to U.S. 41, he noted. In his first year as an executive with the Kansas City Royals, he noted, that team built facilities for an academy that still stand at Twin Lakes Park on Clark Road in Sarasota. “My wife and I lived on Siesta Key for 10 years,” Schuerholz said. The vision for the new academy in the West Villages, he explained, is for it to use “unique and forward-thinking ways” to rehabilitate and develop players physically and mentally. Maultsby explained that Schuerholz began his Major League Baseball career with the Orioles in 1966 and then joined the Kansas City Royals three years later. In 1981, Schuerholz “became the youngest general manager in Major League Baseball,” working with the Royals, Maultsby added. In 1990, Schuerholz took a position with the Braves, and five years later, Maultsby pointed out, the team won the World Series. In July, Schuerholz will be inducted into the Baseball Hall of Fame, Maultsby noted. After Schuerholz took his place at the podium, he introduced other members of the team’s leadership who were present to show their commitment to the project. Among them were Terry McGuirk, chair and CEO; John Hart, president of baseball operations; John Coppolella, the general manager; and Jonathan Schuerholz, assistant director for player development.